We wrote about Bitcoin a couple of weeks ago in Bitcoin a virtual currency that defies the NWO. It is a brilliantly designed currency, but it can blow up…or be made to blow up. If you plan to use it, study it first and go slow. Bitcoin the emerging monetary phenomenon created by a pseudonymous Satoshi Nakamoto in 2009 is no longer a joke, but a potential real threat to the neofeudal NWO whose visible components are the western Central Banks, from the Federal Reserve (FED) , to the European Central Bank (ECB), to the Bank of Japan (BoJ), to the Bank of England (BoE), to others. 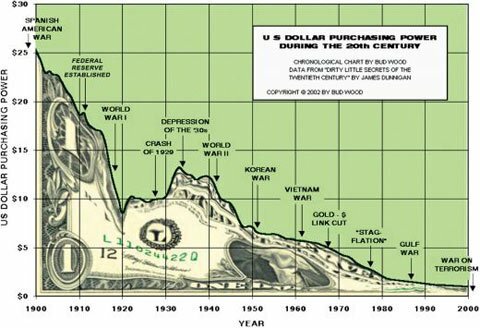 Bitcoin poses a direct challenge to fiat based Central Bank created currencies that are continually being debased in order to maintain a “dual” economic system in which the banking industry is continually being subsidized (thru access to cheap money via the Central Bank, thru continuous bailouts paid by taxing the rest of the economy, thru covert inflation achieved by distorting the inflation measures). It is likely that if the threat posed by Bitcoin materializes, Central Banks will fight it (they have already started), but whatever the outcome, Bitcoin is the most brilliant and lethal tool devised so far to fight a social order described decades ago, in “1984”. Forget, “Occupy Wall Street”, forget “indignados”, Bitcoin might be “it”. It should thus not be a surprise that, as Zerohedge reported today, “US Begins Regulating BitCoin, Will Apply “Money Laundering” Rules To Virtual Transactions”. There will never be more than 21 million in existence, and they are released over time at a declining rate (at the time of writing, about 8.5 million Bitcoins exist). Each Bitcoin is divisible by one hundred million. You can thus possess 0.00000001 Bitcoins. Bitcoins are perfectly fungible, they are divided and combined seamlessly in your account. It is theoretically impossible to make a fake Bitcoin (to fully understand why this is true, one needs to study cryptography and fairly advanced mathematics). As a currency existing in a perfectly free market, Bitcoins always have a market price. At the time of this writing, this price is about $4.80 each. Because Bitcoin is global, there are also market prices for Bitcoin in every major national currency from yen to Brazilian reals. Is it a store of value?. Yes. Why?. Because it cannot be counterfeited and because it is scarce. 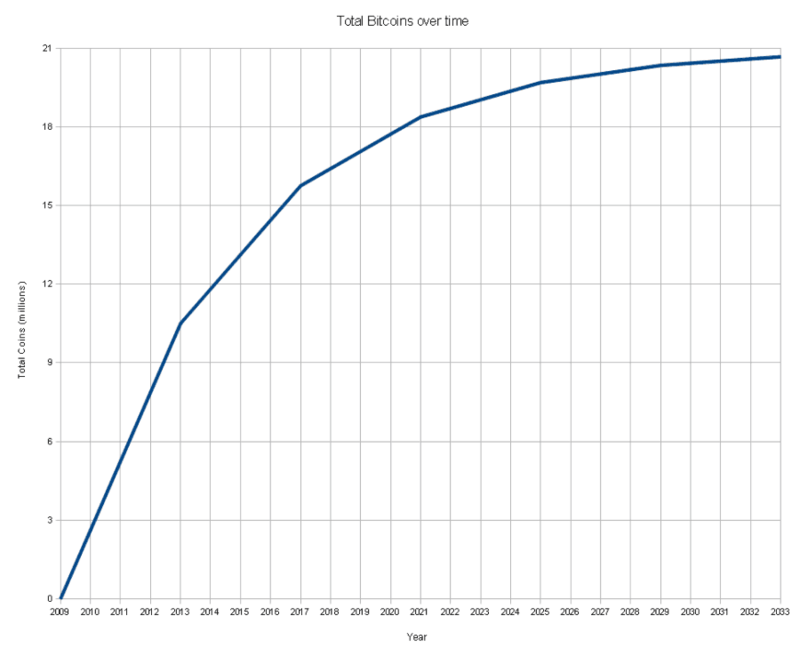 Only 21 million Bitcoins will ever be issued by 2140. Being a store of value is based on being scarce, and Bitcoin is scarce. Is it medium of exchange?. Yes. Why?. It is used to purchase and sell products and services. Is it a unit of account? Yes. Why?. It is fungible, divisible and can be used to accumulate wealth. Bitcoin is an experiment, and it could fail. Its success depends on its creators fulfilling the pledge never to issue more than 21 million units, on keeping it scarce. But so far it is succeeding. Check the price of the Bitcoin in USD in this chart provided by Blockchain: It went from 10 USD in July 2012 to 70 USD this last week. Check also the market capitalization of the Bitcoin market in this chart also provided by Blockchain: It went from 100 million USD in July 2012 to about 800 million USD this last week. Its success also depend on it being widely accepted. This condition has the characteristics of a self-reinforcing loop: The more it is accepted, the higher the chances of it succeeding as a medium of exchange. So far the prospects are good. Transactions mediated by Bitcoin are growing fast. Paytunia.com – Very nice online ewallet service with Android app. Store your coins here. BitSpend.net – Enables you to buy ANYTHING online by paying with Bitcoin. Very cool. Bitcoin.org – Official site of the Bitcoin project, download the wallet software here. MtGox.com – The leading Bitcoin exchange. Buy and sell Bitcoins here. BitcoinTalk.org – The official discussion forum, and large enthusiast community. Wiki.Bitcoin.it – Encyclopedia of most aggregated Bitcoin knowledge, very extensive. Bitcoin.it/wiki/trade – Partial list of companies that accept Bitcoin as payment. Blockchain.info – Tool for viewing accounts, payments, and numerous economic statistics. BitcoinCharts.com – Shows current market prices and economic statistics. Preev.com – Super easy Bitcoin<->fiat calculator, multiple currencies supported. BitcoinMonitor.com – Live view of transactions as they happen on the Bitcoin network. Paysius.com – Enables businesses to automatically accept Bitcoin payments on their website. Bit-Pay.com – Another excellent merchant solution for businesses that wish to accept Bitcoin payments. WorkForBitcoin.com – Bitcoin job board – freelance projects which pay in Bitcoin. Lighthouse Investment On The ‘N’-Word In Monetary Policy @ Zerohedge Zerohedge publishes and comments a report from Lighthouse Investment on the likely next inflationary tool from the FED: Nominal GDP Targeting (NGDPT). The report, titled “Monetary Policy: the N-Word”, clearly explains how potential GDP (PGDP) is calculated and how the FED will use this concept to “sell” to the public the “reasonableness” of NGDPT. 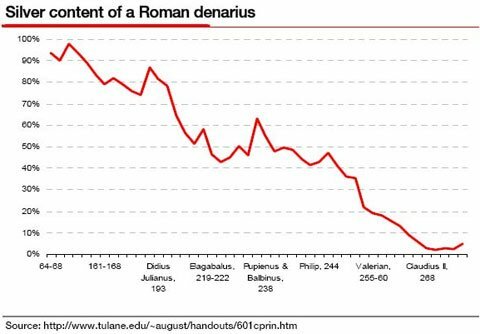 The trick lies in assuming that PGDP is invariant thru time (false assumption) and that, if real GDP (RGDP) is lower than PGDP, then it is reasonable, warranted, to “stimulate” the economy until NGDP = PGDP, conveniently forgetting that NGDP includes an inflation component (NGDP = RGDP + Inflation). How is that achieved? Through printing money, of course. The endgame of such a policy is hyperinflation and the replacement of the currency. This replacement, Lighthouse Investment assumes, would be Gold. 1. The continuous attack on our civil liberties which threatens the rule of law and our ability to resist the onrush of tyranny. 2. Violent anti-Americanism that has engulfed the world. Because the phenomenon of “blow-back” is not understood or denied, our foreign policy is destined to keep us involved in many wars that we have no business being in. National bankruptcy and a greater threat to our national security will result. 3. The ease in which we go to war, without a declaration by Congress, but accepting international authority from the UN or NATO even for preemptive wars, otherwise known as aggression. 4. A financial political crisis as a consequence of excessive debt, unfunded liabilities, spending, bailouts, and gross discrepancy in wealth distribution going from the middle class to the rich. The danger of central economic planning, by the Federal Reserve must be understood. 5. World government taking over local and US sovereignty by getting involved in the issues of war, welfare, trade, banking, a world currency, taxes, property ownership, and private ownership of guns.